net best ball. Rain-out date Jan 19th. Match Play starts on Jan 26th. Sign up early as there is a limited field. Winter Match Play begins. $10 buy-in. Single elimination. Must schedule matches within a two week window. MGC members only. NCGA Qualifer Format. due to conflict with the MGC Invitational dates. MGC members only, two person teams, red or white tees. MGC members only. 2 man net best ball for 36 holes. tournament at the Clubhouse. All past presidents are invited. flight winners. 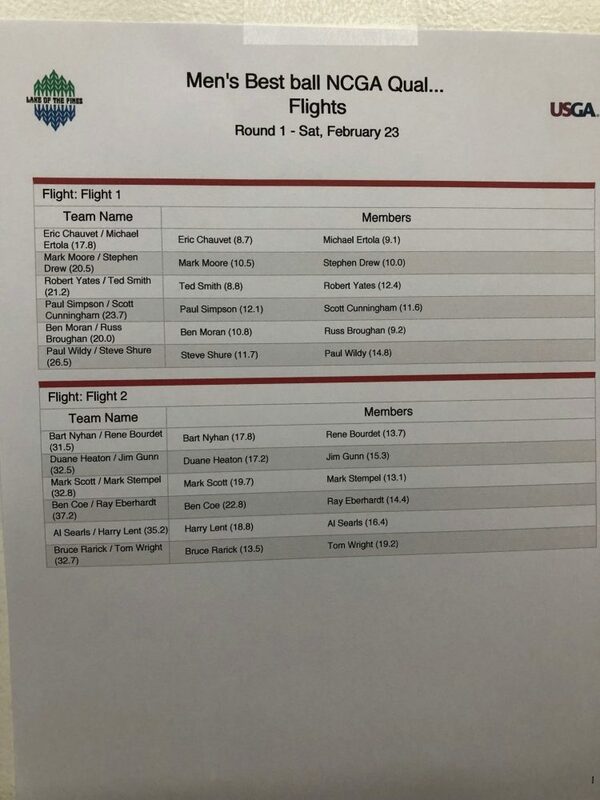 Individual Tee times. MGC members & Guests. Two person teams. MGC members 50 years old or older. Individual 18 holes. MGC members & couples. 4 person Cross Country scramble. Coffee and donuts prior to golf. following play. Rain-out date: Nov 23.